The Los Prados Team Created a Wow Experience for Us! A one- time pet fee is required, based on pet weight. There is a monthly charge of $20 per month, per pet. Yes, 7 & 9 month lease terms are available. By calling the management office or sending an email. Rent is due on the 1st of the month. Late charges are assessed on the 4th. Guests are allowed to stay up to 14 consecutive days with written permission from Management. Yes, but it can only be mounted on a tripod in the balcony. It is not allowed on any surfaces of the apartment exterior. Plantation Central Park Rec. Bldg/ 9151 NW 2nd St, Plantation, FL 33324. Redefine your standard of luxury apartment living at Los Prados in Plantation, FL. Set in a serene semi-tropical landscape, the best Plantation, FL apartments feature villa-style architectural detailing to enhance your lifestyle. Equipped with outstanding amenities such as a 24-hour state-of-the-art fitness center, top-notch business center, tennis courts, and two refreshing swimming pools, Los Prados will delight you with luxury amenities at every turn. Enjoy the beauty in every detail of your new Plantation, FL one or two bedroom apartment from your ceramic tile foyer to the custom touches in your well-appointed kitchen. 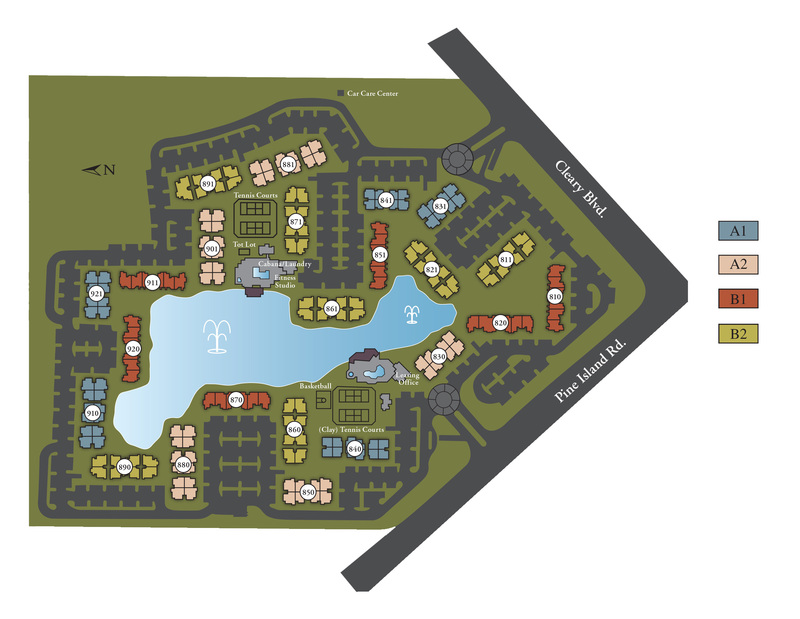 Live just a heartbeat away from all the excellent shopping and dining Plantation has to offer. Contact us today to learn how Los Prados apartments in Plantation, FL provides you with the finer things in life.